Blip1000 by WOK is a Virtual Instrument Audio Plugin. It functions as a VST Plugin. 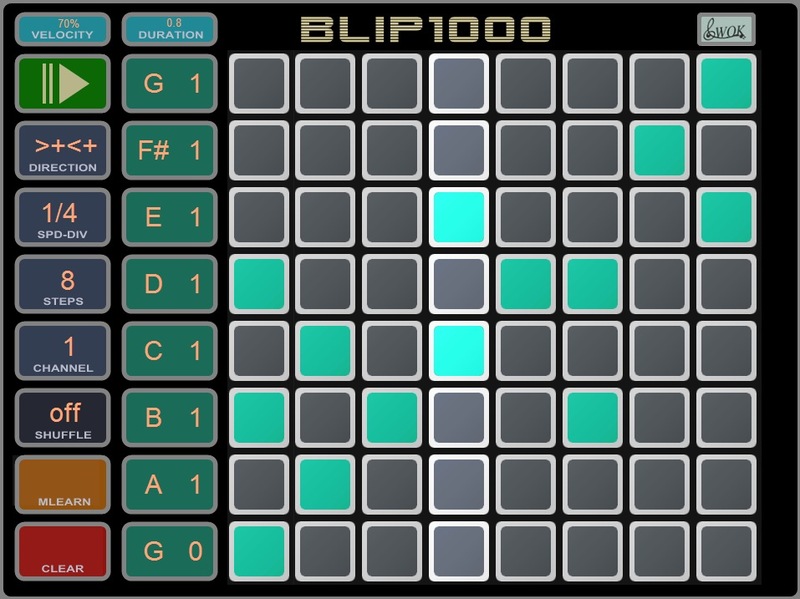 Blip1000 is a free matrix step-sequencer optimized for touch-screens. Blip1000 has an 8x8 button matrix that makes it suitable for MIDI controllers like the Novation Launchpad. It features host-sync, swing, several play directions and MIDI learn.